Representing the USA in the women's double sculls at the World Rowing Junior Championships in Germany are Claire Campbell (bow) and Mary Campbell, sisters of Andrew Campbell, who just last weekend became the champion in the men's lightweight single sculls at the 23-Under Championships. 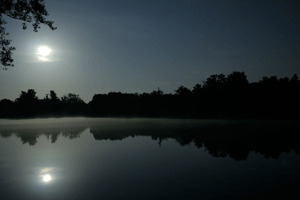 Photo: USRowing. More than 730 junior athletes, under the age of 19, from 57 nations will compete in the 13 different boat classes. Germany, Italy and the United States have entered the largest teams; they have entered all 13 events with a total of 49 athletes each. The women’s single sculls has an impressive turnout and with 35 crews entered, it is the largest field competing at the event. The men’s single sculls has 32 crews entered and the men’s pair and men’s quadruple sculls both with a field of 27. This is the first FISA World Championship appearance for Nigeria and Togo, who will both compete in the women’s single sculls, with Nigeria also entered in the men’s quadruple sculls. The course is located on the Dove-Elbe Water Park, which was officially opened as a regatta course in 1985. It is situated on a peaceful arm of the Elbe River and has hosted numerous national and international rowing events including the World Rowing Cup in 2011. For rowers to be eligible to compete at the World Rowing Junior Championships, they must be 18 years of age or under. 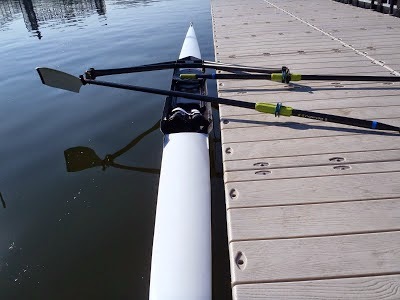 A rower can compete as a junior until 31 December of the year in which he or she reaches the age of 18; after that date the rower is classified as an under-23 rower. Some participants from developing nations are able to attend the World Rowing Junior Championships through donations from participants at the World Rowing Masters Regatta (whose participants are all over the age of 27). A full list of entries and an updated provisional timetable can be found here. Photo: Scottish Rowing's Facebook page. The big winners at last Saturday's Home International Rowing Regatta (HIRR) at the National Rowing Centre, Cork, Ireland, were England and Scotland. 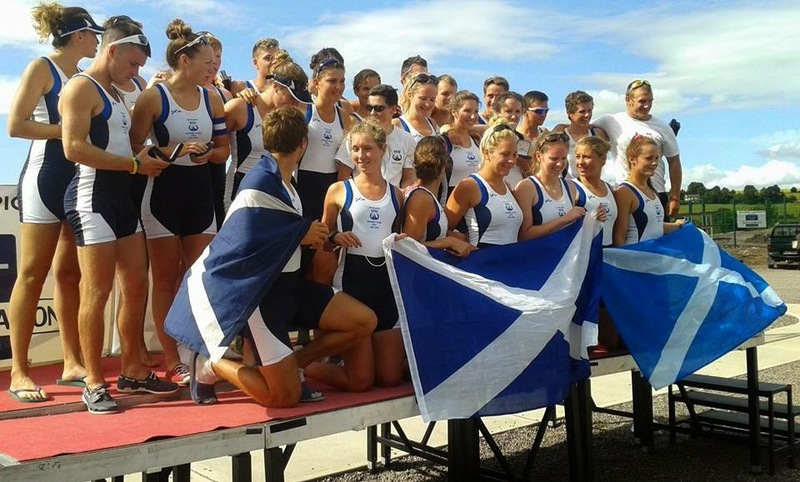 Read Mike Haggerty's report on British Rowing's website here - get a report with a Scottish angle here - and get the full results here. 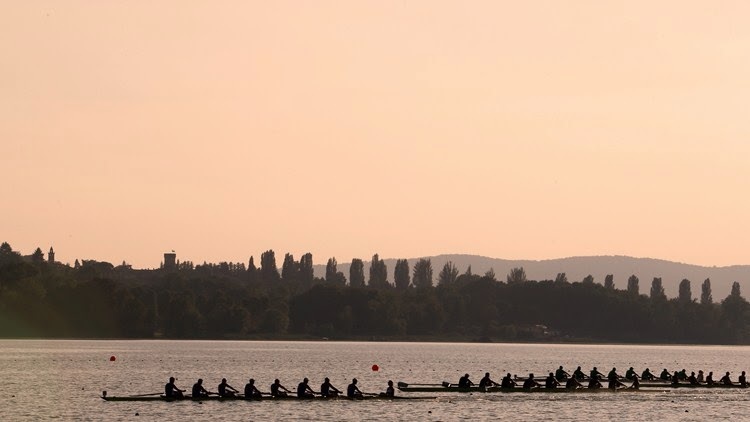 The 2014 World Rowing Under 23 Championships in Varese, Italy began with a large and enthusiastic field of 800 athletes and ended with the new 2014 under-23 World Champions being crowned. The performances showed why these are the best under-23 athletes in the world. At the end of two days of finals gold medals were spread among 23 nations, with both New Zealand and the United States earning three golds each. For New Zealand they came in the lightweight women’s double sculls, men’s eight and women’s pair. The women’s pair of Grace Prendergast and Kerri Gowler completely dominated their final and set a new under-23 World Best Time – the only one set at this regatta. The United States had gold medal success with Andrew Campbell in the lightweight men’s single sculls, the women’s eight and the women’s four. 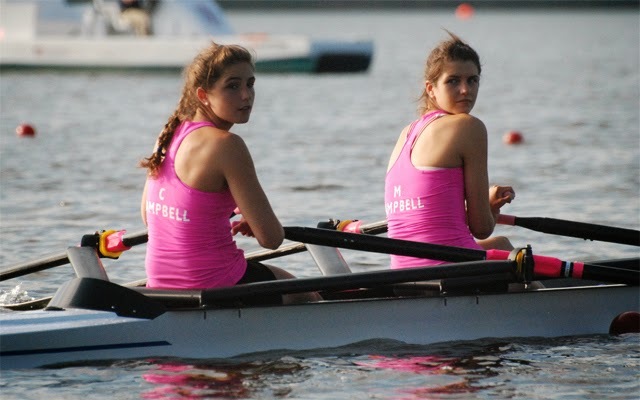 Campbell’s win saw him defend his 2013 title with the women’s eight also successfully defending their title. The women’s single sculls had senior World Champion from the women’s double sculls, Milda Valciukaite of Lithuania, dominating her race and finishing just a fraction of a second outside of the under-23 World Best Time. Former junior, Sara Magnaghi of Italy, was the popular silver medallist with Germany’s Anne Beenken earning bronze. Spain and Turkey both had medal success. 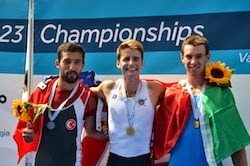 Spain earned a gold medal in the lightweight men’s four, beating Great Britain and the 2013 under-23 World Champions, Italy, to the line while Turkey’s Enes Kusku earned silver in the lightweight men’s single sculls. A number of these athletes will now join their nation’s senior team in preparation for the 2014 World Rowing Championships in Amsterdam (NED) at the end of August. These include Ilse Paulis of the Netherlands who won the lightweight women’s single sculls. Overall New Zealand topped the medals table with a total count of six from the 21 boat classes. The United States was second with five total medals and Italy came through in third with seven medals, two of them gold. The next World Rowing event will be the World Rowing Junior Championships to be held in Hamburg (GER) starting 6 August 2014. To relive the World Rowing Under 23 Championships action visit www.worldrowing.com for full results, race reports and photos. to which one was born. the race had emptied them of. From the Telegraph's series Life on the Eve of War, episode "Fashion in 1914" by Drusilla Beyfus. The Daily Telegraph is right now running a series called "Life on the Eve of War" with episodes called, for example, "Women's Rights in 1914", "Art & Culture in 1914", "Food in 1914", "Cars & Planes in 1914" and "Fashion in 1914". More is to follow, and we hope that eventually there will be one piece called "Sports in 1914" (I guess, hoping for a "Rowing in 1914" would be to ask for too much...). 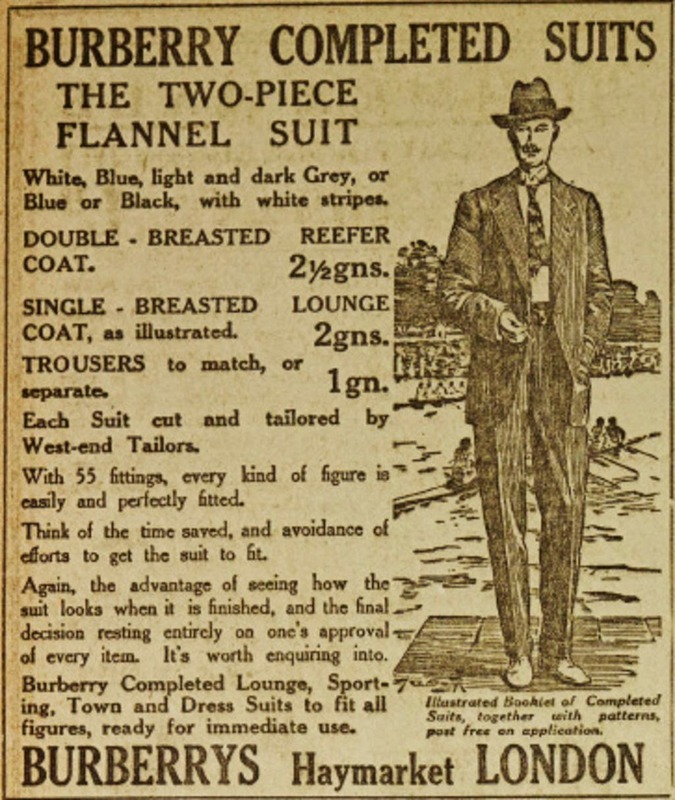 While we are waiting for this episode, you can enjoy Drusilla Beyfus's "Fashion in 1914" in which you will find the image above, an advertisement for Burberry suits showing a gentleman at a rowing regatta, probably Henley. A large turnout of 800 of the best under-23 rowers in the world, covering 51 nations will race in Varese. The single sculling boat classes have attracted the biggest fields among both the men and the women. The men's single has 30 scullers and the women’s has 22 scullers. The lightweight men's single sculls also has a huge turnout of 25 entries, while the lightweight women's single has 21 entries. Boris Yotov of Azerbaijan and Natan Wegrzycki-Szymczyk of Poland will be hot contenders in the men's single. They both medalled at the World Rowing Junior Championships last year and Yotov already has a silver medal from this year’s European Rowing Championships in the men's double. 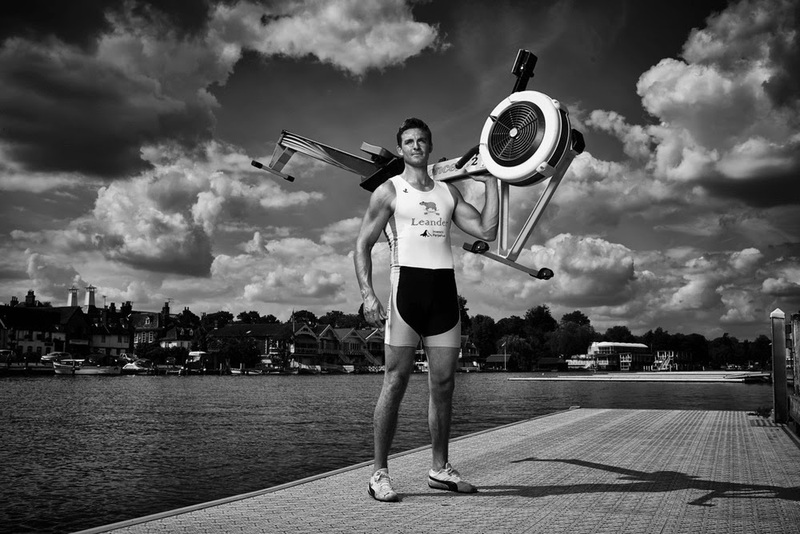 The 2012 World Junior Champion Michal Plocek of the Czech Republic is back in the single after finishing second in the double at last year's World Rowing Under-23 Championships. The women's single has 2013 World Rowing Junior Champion Jessica Leyden of Great Britain and World Junior silver medallist Tatsiana Klimovich of Belarus racing. Leyden and Klimovich will face the more senior Elza Gulbe of Latvia who was third last year in the single at the World Under-23 Championships. The United States has become regular winners in the women's eight and are the current World Under-23 Champions. Their line up this year, however, is completely new apart from one, Erin Boxberger. The United States will expect the strongest competition to come from Germany, Australia and Great Britain. For the men, New Zealand men’s eight is the reigning World Under-23 Champion and this crew remains the same as in 2013. Their main competition will come from the United States, Germany and Poland. Both Italy and Germany are sending complete teams of 21 boats. These two nations are strong in under-23 rowing and, at the event in 2013, Germany was on top in the medal table, followed by Italy and then the United States and Romania. Varese, in northern Italy, is a popular rowing venue. A new regatta course and a new finish tower were installed for the 2012 European Rowing Championships and it is used by a number of international crews as a training base. Varese will host stages of the 2015 and 2016 World Rowing Cup series as well. The World Rowing Under-23 Championships is raced in 21 boat classes and is open to all FISA member nations for athletes under the age of 23. The under-23s began in 1976 as the ‘Seniors Match’ and then became the ‘Nations Cup’. It became the World Rowing Under-23 Championships in 2005. For the complete list of entries, click here. Photo: Royal Hong Kong Yacht Club's website. A week ago, on 15 July, we posted a question about Singapore Rowing Club. 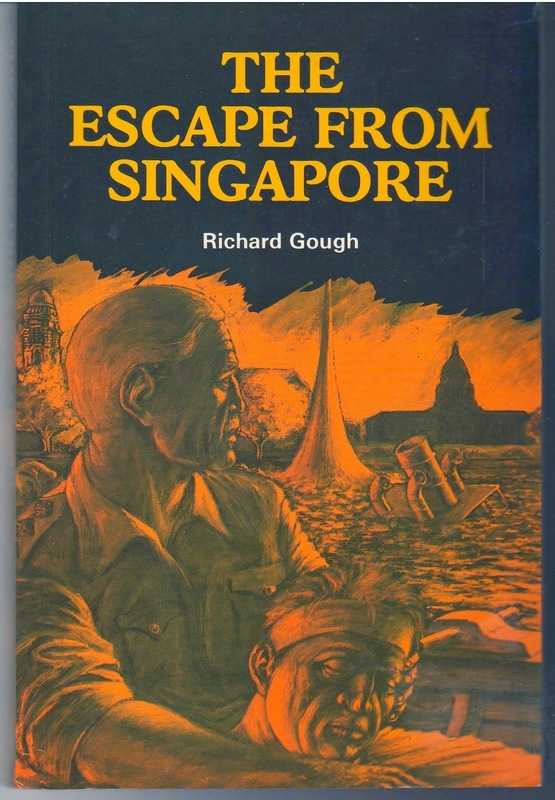 Matt Jennings, England, had read The Escape from Singapore (1987) by Richard Gough, a book describing the fall of Singapore in February 1942. It seems one of the last boats out from Singapore was a four-oared shell from Singapore RC and Matt was wondering if anyone had information about this club and what happened to it after the war. I think that Mr. Dodd has made a small error in his note on post war Singapore. I believe the Singapore Rowing Club duplicated the situation in Hong Kong – where the Victoria Regatta Club merged with the Royal Hong Kong Yacht Club – and merged with the Royal Singapore Yacht Club in the immediate post WWI colonial period – this is backed up by the small potted history on the RSYC website. I rowed (for the RHKYC) in 1979 in Singapore against crews from what is now known as the Republic of Singapore Yacht Club, having changed its name from the Royal Singapore Yacht Club in the 1960s. The regatta in 1979 was the annual Far East Amateur Rowing Association Championships (regattas had been hosted in the 1970s and 1980s in Manila, Karachi, Madras, Colombo, Saigon, Hong Kong and Singapore) which was very strong through the post WWII period up till the early 1980s. FEARA, as an organization, effectively an association of the old expatriate rowing clubs around Asia – albeit with the crews being largely local apart from Singapore and HK – is now largely defunct outside of India, Pakistan and Sri Lanka. The rowing movement in Asia has been replaced by national teams in squad crews now so FEARA is a bit of an anachronism. In terms of the RSYC itself, it seems that rowing has now stopped (though someone told me they still have boats in storage a few years ago). Rowing seems to be controlled and run only by the Singapore Rowing Association. I am glad to report, however, that the RHKYC still has a very strong rowing section; it has in fact expanded a lot over the last thirty years and is back to sending crews overseas. Welcome to the club. Henry (‘Harry’) McCarthy, the 2014 winner of the Doggett’s Coat and Badge with, from left to right: Nick Beasley (who won Doggett’s in 2001), Ralph Humphrey (1989), Henry, Lenny Grieves (1969), acting Bargemaster, Robert Dwan (2004) and Tom Woods (1999). 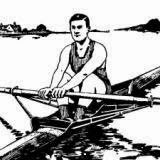 Ask anyone involved in rowing and sculling what the sport’s oldest event is and most would suggest either the Oxford – Cambridge Boat Race (1829) or Henley Royal Regatta (1839). Few would know that it is, in fact, a 300-year-old single sculling race, the curiously named ‘Doggett’s Coat and Badge Wager’, a contest that has been run continuously since 1715. The HTBS reports on this unique event and on its fascinating history cover 2010, 2011, 2012 and 2013. Competitor Ben Folkard boats from Fishmongers’ Hall which is next to London Bridge. The Fishmongers’ Company have had a Hall on this site since 1434. While 2014 saw the 300th race, it has been decided that the big celebrations will be held in 2015 to mark the 300th year. 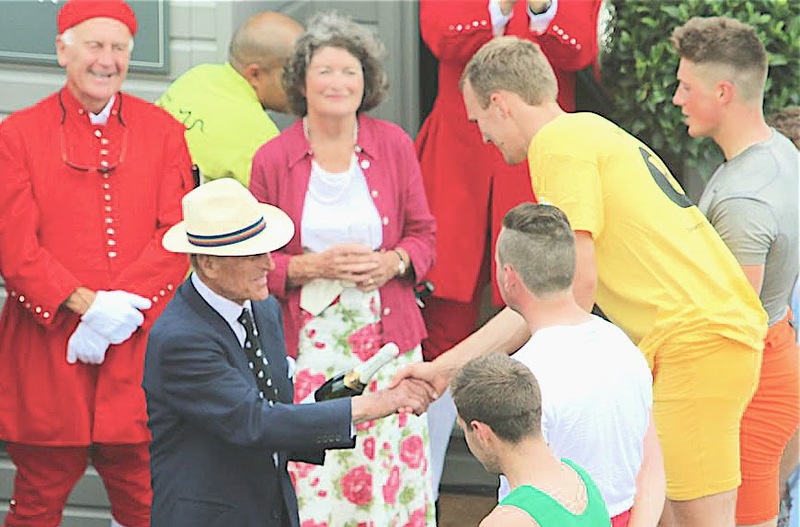 Nonetheless, this year’s Doggett’s still attracted a Royal visitor in the person of the Queen’s husband, His Royal Highness Prince Philip, Duke of Edinburgh. As this Pathe Newsreel shows, he last saw the race in 1951 (though the film’s commentary is particularly ill-informed). A tense moment as a 93-year-old member of the Royal family is transferred into the umpire’s launch (though, as a career naval officer from 1939 to 1952, Prince Philip is no stranger to ladders, boats and water). It has been 500 years this year since the earliest Act of Parliament for regulating watermen, wherrymen and bargemen received Royal Assent from King Henry VIII. It’s an extremely special year for us, and we are thrilled the Duke of Edinburgh will be joining one of the oldest and most important celebrations of the river. The Doggett’s obscurity is in large part due to the fact that it is only open to those under the age of 26 who, in the previous three years, have completed the long apprenticeship to qualify them to carry goods and people on the River Thames. If that were not enough of a barrier to entry, the course itself should dissuade all but the brave or the foolish. It runs from London Bridge to Chelsea, 7,400 metres of unsettled and unsuitable water containing washes, bends, bridges and currents. The prize for this winner of this mad event is suitably eccentric – the scarlet costume of an 18th-century Waterman, a sleeve of which sports a solid silver badge the size of a dinner plate. The less tangible prize is the honour of joining a very exclusive club. The ‘Coat and Badge’ continues to have enormous prestige in the tightly knit community of the Thames Watermen and their families, many of which have worked the river together for generations. In the shadow of HMS Belfast with Tower Bridge behind them and the Tower of London beside them, the five competitors wait to go onto the start. From left to right: McCarthy, Coughlin, Petipher, Folkard and Maynard. Ben Folkard, Poplar, Blackwall and District Rowing Club. Colour: Green. Age 23, height 6'3'', weight 76kg. His first attempt at Doggett’s but he comes from a family of Watermen and his grandfather is his Apprentice Master. Dominic Coughlin, Medway Towns Rowing Club. Colour: Blue. Age 23, height 6'0'', weight 74kg. First in his family to compete, came 6th in last year’s race. Louis Pettipher, Medway Towns Rowing Club. Colour: Orange. Age 23, height 6'0'', weight 79kg. The other first time competitor, though his brother raced three times. He has been sculling for eight months. Charlie Maynard, Poplar, Blackwall and District Rowing Club. Colour: Red. Aged 22, height 5'9'', weight 79kg. He came fourth last year and an ancestor, George Maynard, won Doggett’s in 1833. Henry McCarthy, Poplar, Blackwall and District Rowing Club. Colour: Yellow. Aged 22, Height 6'1'', weight 77kg. He came second last year. His father, Simon, won in 1984 and an uncle, Jeremy, won in 1992. Harry McCarthy indulges in some form of meditation perhaps? The ‘Mercia’ behind him was for members of the Watermen's Company to follow the race. Only Doggett's winners are allowed to watch from the privileged position on the roof. When the 2014 race lined up just below London Bridge at 12.45 it was a warm, calm day and, by Doggett’s standards, the tide was reasonably low and slack. It was McCarthy who got off to the best start and took an immediate lead. Folkard moved close to the north bank from the start while the others stayed to the south or centre. At the first bridge, the Cannon Street Rail Bridge, the early order was already established: McCarthy (Yellow) then Maynard (Red), Pettipher (Orange), Folkard (Green, not in the picture) and Coughlin (Blue). By Southwark Bridge the order was McCarthy, Maynard, Pettipher, Folkard and Coughlin. This order was maintained through the Millennium Footbridge and onto Blackfriars Bridge, though the leader’s advantage increased and last two scullers, Folkard and Coughlin, fell increasingly behind the leading pack of three. At Southwark Bridge, about 500 metres in, the early order was maintained though the field had spread out more. McCarthy navigates one of the many of the obstacles that it is best not to hit if you want to do well in the Doggett’s. By Waterloo Bridge (about 1,900 metres) the leading pack had reshuffled slightly resulting in McCarthy leading Pettipher who in turn led Maynard. At the half-way point, the Houses of Parliament, the order was unchanged but the distances between the boats increased. Around this point the umpire ‘dropped’ Coughlin and overtook him. Approaching Waterloo Bridge. Pictured here, McCarthy leads Pettipher (centre), Maynard (left) and then Folkard (right). Going under the Golden Jubilee and Hungerford Bridges with the Houses of Parliament and Big Ben in the background, McCarty (right) leads Pettipher (left) and Maynard (centre). Lambeth Bridge. Folkard in the foreground, in the background, left to right, is Pettipher, McCarthy and Maynard. Around the next bridge (Vauxhall) Folkard was dropped by the umpire. At the old Battersea Power Station, 6,500 metres into the 7,400-metre race, McCarthy had about fourteen lengths on Pettipher who was about four lengths up on Maynard. Approaching Battersea Power Station (far left) and the last 1,000 metres, the finish positions look certain. The umpire’s launch with the man in charge, Bobby Prentice. Prince Philip (just behind the driver) looks on. Coming up to the last two bridges, Grosvenor Railway and then Chelsea, it’s McCarthy, Pettipher and then Maynard. At the finish the gap between the second and third placed boats was decreasing but Harry McCarthy sculled home to win convincingly in 24 minutes and 35 seconds. Second place was Louis Pettipher, third Charlie Maynard, fourth Ben Folkard and fifth Dom Coughlin. Still pulling hard in the last few strokes, McCarthy approaches his supporter’s boat, the appropriately named ‘Pride of London’. Passing the finish line, McCarthy quickly goes through a series of emotions. This is ‘Elation’. Despite McCarthy maintaining form and never giving up, a calm and efficient Brice kept a lead which varied between three and four lengths...... Brice was a worthy winner but I confidently predict that McCarthy, in his first Doggett’s race today, will cross the line first in 2014 or 2015. What particularly impressed me in the 2013 race was that, even when he clearly could not win, McCarthy continued to hurt himself and give his all. I wish some of the competitors at Henley in particular would give such displays of sportsmanship. Again this year, Harry continued to row hard and feel the pain even when it was obvious that he would win. The pictures of him at the finish tell far better than words what the victory meant to him. Applause from the Umpire’s Launch and the Royal Party. Charlie Maynard congratulates his friend and rival. The finish is at Cadogan Pier where there was a brief, informal ceremony where the Duke congratulated the competitors and gave each a bottle of Champagne (apparently with the instruction not to drink it all at once). Here he shakes hands with McCarthy. The main ceremony is in November where the winner is presented with his tailor made costume and, of course, his badge. On race day itself, the Fishmongers’ finish with a splendid luncheon at their Hall – while most Watermen go to the pub. Picture: onthethames.net via @greenwichcouk. The Duke congratulates Ben Folkard. Prince Philip also gets a prize, the HTBS ‘well dressed gent’ award for his wonderfully shiny shoes. They were probably a fifty-year-old pair of Lobbs, the bespoke footwear also favoured by his son, Prince Charles. Dom gives Harry his first alcohol in seven months in an unconventional way. Bobby never lets on, but at the end of every race perhaps he is quietly relieved that he still holds the course record. His comments on Pettipher were interesting. If someone who has been sculling only since last November comes second, they must be a very strong contender for winning next year. Rowing historian and journalist Chris Dodd and I were delighted to be invited to attend the post-race luncheon at Fishmongers’ Hall. As befits a livery company with 700 years of history, the opulent Hall has a wonderful collection of paintings, furniture and silverware. I loved this little silver mustard pot supported by a mermaid and a merman that was tantalisingly placed in front of me. I resisted the temptation to give it a new home. People in ‘conventional’ rowing and sculling sometimes wonder how good ‘Doggett’s Men’ really are. No doubt, the general standard was probably better in the days when Watermen powered their craft by oars, not engines. Today, the best competitors are of a good ‘club standard’. 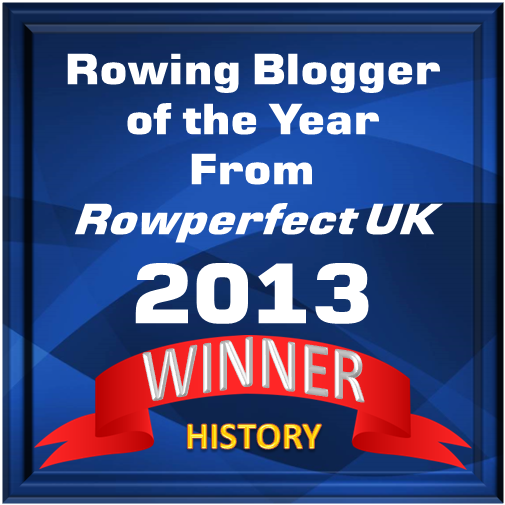 For example, the 2012 winner, Merlin Dwan, rowed in that year’s Henley Wyfolds for London Rowing Club and the 2011 victor, Chris Anness, sculled in the lightweight single and also the quad for London at that year’s National Championships. The least able competitors will perhaps train just enough to be able to finish the course – though, this in itself is no mean achievement considering the distance and the typical conditions. Chris Dodd (trying to look like he has not just enjoyed a good lunch) tries out a nice ‘Doggett’s Chair’ that we found in a corner of Fishmongers’ Hall. Like many things in Britain, the Doggett’s has a bit of a ‘class divide’. For historical reasons, both the Waterman’s Company and the Fishmongers’ Company are involved in its organisation. The former is composed mostly of working men whose trade is ‘the river’, while these days the latter’s members are more likely to be involved with ‘The City’ (London’s financial district) than with fish (with the exception of the occasional smoked salmon canapé). The twain tend not to meet and both have a different appreciation of the event and different ideas on its future. The Fishmongers’ probably see Doggett’s in the same way that non-rowers see Henley, that is as a predominantly social event. There is nothing wrong with this, indeed both Henley and Doggett’s would be the poorer without this aspect to them. The Watermen have a much more emotional tie to a race that they see as part of their heritage, something that any HTBS reader must be able to appreciate. The Fishmongers’ would like to ‘raise the profile’ of the event and market it in a modern way. The Watermen want to leave it pretty much as it always has been. As an historian and a blogger, I can appreciate both points of view. One of the several paintings of Doggett’s winners in Fishmongers’ Hall. I think this is of Kenny Dwan, who won in 1971. 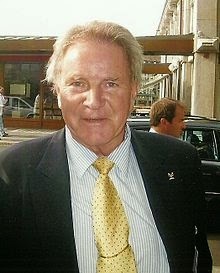 He was one of Britain’s best scullers from the mid-1960s to the mid-1970s. There are five Dwans living, who have won the Coat and Badge. In his will, the founder of the race, Thomas Doggett, stipulated that the event should continue ‘for ever’. That is a long time but, whatever the problems of maintaining this curious anachronism, I cannot but help feel confident that it is good for at least another 300 years. My thanks to Chris Dodd for his help in producing the race summery (though any mistakes are mine). Row360 is born at just the right moment. It’s written by rowers for rowers. We are well and truly on the road to Rio now, with an exciting two years ahead. Our plan is to present the sport in a new light; to excite, invigorate and enlighten. 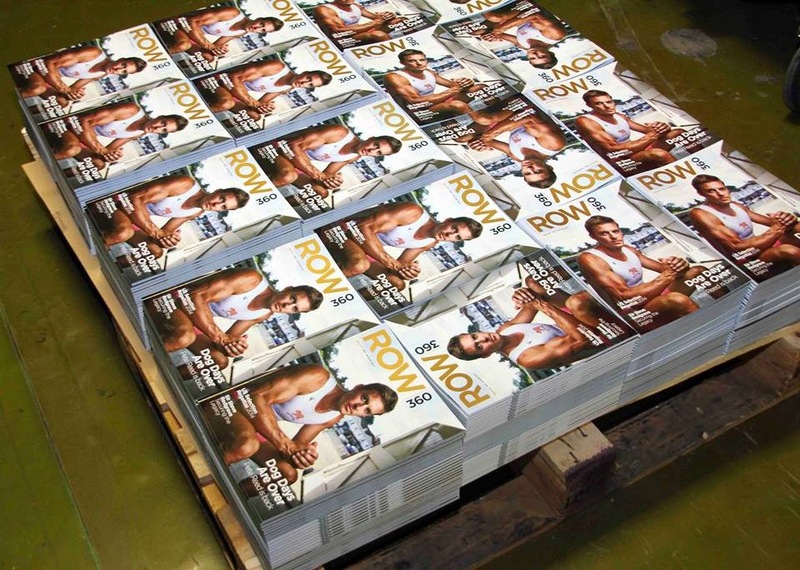 So writes Fergus Scholes, publisher, in his introduction on page 1, issue 001, of the new global rowing magazine ROW360. Thousands of printed copies were given away free, gratis, and for nothing at Henley Royal Regatta. I spied rowing folk of all ages enjoying their copies over their early morning iced coffees, lunch time champagne and afternoon Pimm’s. Not me; my copy was safely tucked away, magpie like, for later indulgence when I had returned to my nest. So what’s it like? Well it’s the classiest launch edition of a rowing magazine that I’ve come across. Its coverage is truly global with articles by the Australian High Performance Director, Chris O’Brien, Maclom Scholes on the Devon Boathouse and rowing centre in Oklahoma City and Rachel Quarrell AKA The Rowing Voice. In fact, Quarrell contributes four articles that cover this year’s U.S. Selection Regattas, Henley Royal, World Cup II in Aiguebelette and the Belgrade European Rowing Championships. There are, as Row360’s Facebook page suggests, ‘interviews, news, articles, chat, lifestyle and all the trimmings from the world of rowing’. The cover features a photograph by Ben Duffy of Pete Reed, who is interviewed by Pete O’Hanlon. Reed has had a torrid year but has gained even more respect (if that is possible) in the way he has handled the whole dog allergy affair and his commitment to the GB eight. There are some additional photos of the shoot on Duffy’s website. Is Pete Reed about to do what many of us long to do with the ergometer? Photograph from Row360 © Ben Duffy. There is certainly something for everyone in this edition, from coxswains to coaches and those they train. I particularly enjoyed the articles, “Blazer Glory” by Jack Carlson, “Fluid Dynamics of Rowing” by Carl Douglas and the “Performance section” with results from the 2013 World Rowing Championships set alongside those of the 2014 European Championships and the first two World Cup Regattas of 2014. The headings for the men’s pair and men’s double sculls results may be a bit muddled, but with the addition of a legend setting out the venues and dates of the events, this section could be a real boon for rowing statisticians who are short of time. There is even a short historical piece (more please!) by Simon Rostron, “Henley: A View from the Banks, Hats off to Hansa”, about the day in 1989 that the HRR course record fell below the six-minute barrier (checks old programmes – yes, I was there). The Row360 team are continuing to enthusiastically promote the magazine with copies available at last weekend’s World Cup Regatta in Lucerne and copies will be up for grabs at the U.S. Rowing Club National Championships being held on Melton Hill Lake in Oak Ridge, Tennessee, between 16 and 20 July. You can read the full 28-article, 112-page July/August edition for free here. The subscription rates for Great Britain and Europe will be released soon. At the American launch of the American edition of the magazine, which happened yesterday, the subscription rate for six issues for the U.S. and Canada is $79, which includes an e-magazine. 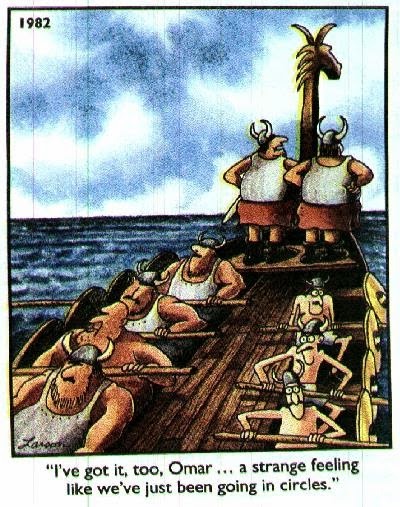 Perhaps the first 360 degree row as depicted by The Far Side. “Late Fall Practice” by oarsman Jim Anderegg. This print hangs in the exhibit “Let Her Run” in the G. W. Blunt White Building at Mystic Seaport, Mystic, Connecticut, the same building that holds the NRF’s National Rowing Hall of Fame. 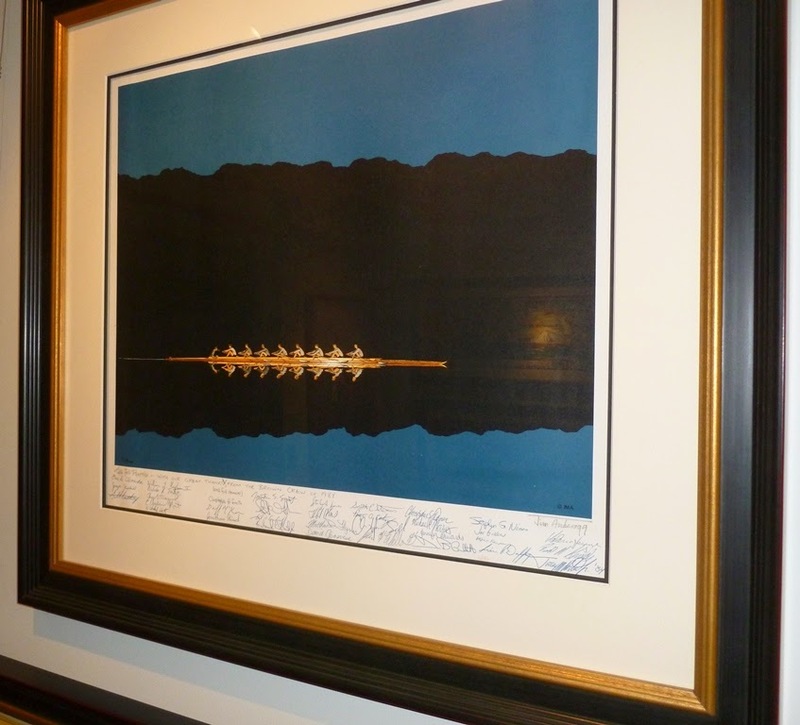 This particular print has been signed by the 1984 rowing team of Brown University. I recently received a query from Ed Winchester regarding a lovely item, and thought that a bit of background might be of interest to the readers of ‘Hear the Boat Sing’. 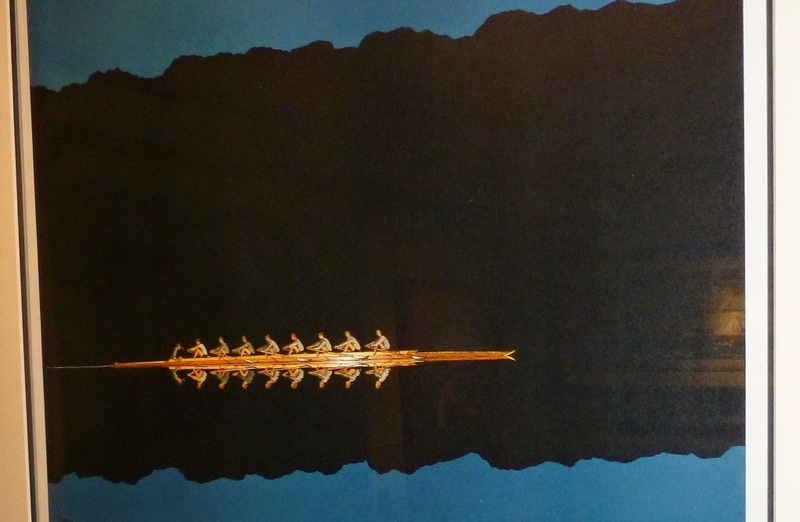 For U.S. rowers from the 1950s through the 1980s, perhaps the most ubiquitous contemporary image of their sport was a print titled “Late Fall Practice” by James (Jim) M. Anderegg, Princeton ‘51. 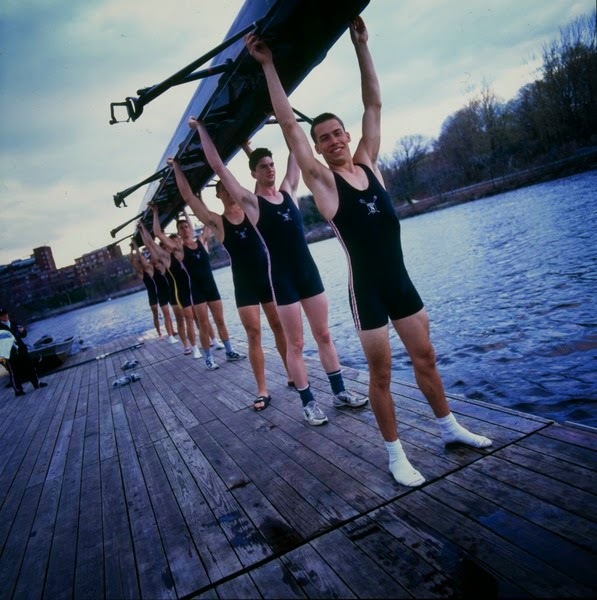 Sold by the artist himself, or through local print shops, such as Merwin’s in New Haven, CT, the scene decorated countless dormitory, library, study and living room walls, serving as a striking visual madeleine to the recollections of thousands of rowers. Depending on when and where it was sold, the purchaser could (and many did) request that the oar blades – which were left uncolored in the original prints – be painted with the colors of their own school, college or club. As a result, one may find a copy described as showing a Yale, Harvard or Princeton, etc., crew, when, in fact, the original image (though based on one crew, as described below), could be adapted by anyone to represent the affiliation of their choice. Its nearly universal attraction is easily understandable. Highlighted by an unseen light source as darkness gathers, an eight strides for home along a river or lake bounded by low hills or high treetops in deep shadow, with the remnants of sunlight producing a dark blue sky, all repeated in reverse as reflected in the water below. Few rowers will not have experienced a moment like that depicted in “Late Fall Practice”. The site could be almost anywhere in rowing, so it is not surprising that, because of its popularity combined with its anonymity, questions have often arisen as to the origins of the piece. Three documents provide some answers. During late fall practice, 1948, the idea for this picture came to me and after several attempts I got the composition and expression I wanted. The feeling of the shell’s movement and its run, the beauty of the shell and its reflection under launch lights, the darkness, depth, and clarity all were there. When I took the finished sketch down to the boathouse to show it to the gang I received many requests for copies. I tried to comply with a small edition of lithographs, and have since had to have another published. They are good lithographic reproductions, 16 x 20 inches, in full color on heavy paper. I tell you this because I want you to know that this print of a crew is by a crewman and done especially for crewmen. $5.00 Postpaid, check or money order. Will be mailed immediately. Anderegg expanded on this brief description in a letter, dated May 22, 1984, he wrote to J. David Farmer, director of the University of California – Santa Barbara Art Gallery. Farmer, a former lightweight oarsman from Columbia, organized, in connection with the 1984 Los Angeles Summer Olympic Games, an exhibition titled “Rowing / Olympics.” This was the first show of rowing art and memorabilia to be mounted in the United States, and a copy of “Late Fall Practice” was included in the exhibition. I did it in late October 1948. Two heavy crews on Lake Carnegie ... Princeton ... had raced from the finish line back up the lake and my boat had gotten over the course first. It was really early evening ... dark but still some blue sky ... and when the second boat came up the launch and the flood lights were on one side and the other boat came up just as in the picture, on the other side. The original ink and water color hang in Princeton’s Nassau Hall ... badly damaged by sunlight. This print is the second edition off these plates. The color separation was made in 1953 and lost when these were done in 1974. Edition was about 4000 but only 2500 were usable ... the blue plate was full of hickeys. It has been a lot of fun ... its the only thing I ever did ... I’m a graduate architect. I run libraries for large architects, now ... lots of them. Anderegg’s obituary in the Princeton Alumni Weekly (23 January 1991) provides some further insight into the story of “Late Fall Practice”. The apparent discrepancy in the number of prints described in Anderegg’s letter and this obituary is puzzling, but may be due to what I understand to have been a divorce settlement which gave Anderegg’s ex-wife certain rights with respect to the ongoing production and sale of his prints. James Murray Anderegg '51. Jim died Oct. 91, 1990. For 27 years he had lived with and fought multiple sclerosis. His painting, “Late Fall Practice,” which he produced as a sophomore, made him famous throughout the country to generations of rowers. Indeed, over the last 47 years more than 7,000 copies were sold, with the buyer’s college colors on the oar blades [note: I suspect that this number includes the many copies that were sold without the blades having been colored]. Jim was born in Chestnut Hill, Penn., and came to Princeton from the Hun school. He had spent almost three years in WWII as a boatswain’s mate on I.STs in the Southwest Pacific. At Princeton, Jim majored in architecture, was a member of Colonial Club, a varsity oarsman, and art editor of the Nassau Herald. 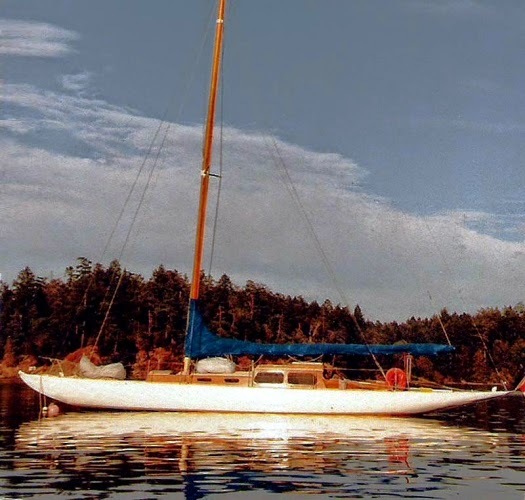 Architecture, art, and boats were Jim’s life and livelihood. After ten years as a salesman of architectural products, he formed Anderegg, Inc., in Detroit. His Architects’ Library Service provided technical information to large architectural / engineering firms His woodcuts and prints are prized by collectors. Jim is survived by two sons and a stepdaughter. The Class and his many admirers will miss this courageous and engaging man. A close-up of the print mentioned on top of this entry. That “Late Fall Practice” is not frequently seen on the market, in spite of its apparently large print runs, is undoubtedly a lasting tribute to Anderegg’s skill in capturing a particularly evocative moment in a beautiful sport, and the pull that the piece has on those who have been able to acquire a copy. Any owner of this image may not only be privileged to enjoy the memories that it inspires, but may also take pride in possessing one of the most attractive and widely appreciated rowing prints of the era. Matt now wonders if anyone knows more about Singapore Rowing Club and the event described in Gough’s book? Googling around on the web, it seems that no rowing club in Singapore of today has much to do with the old ‘Singapore Rowing Club’ mentioned in The Escape from Singapore. According to Christopher Dodd in his The Story of World Rowing (1992), Singapore Rowing Club was founded in 1879. Dodd writes: ‘One of the founders was an employee of the Peninsular and Oriental Steam Navigation Co. and he arranged for a ship to bring the first boat from Hong Kong’. The New Year celebrations have been observed in Singapore in the usual manner by athletic sports on the Esplanade, and a regatta in the harbour. The Singapore Rowing Club sent a crew with one of their four-oared boats to Penang to compete with a crew of the Penang Rowing Club. This resulted in an easy victory for the Singaporians. Arrangements have been made for Christmastide matches between the Singapore Cricket Club and teams from Selangor and Singapore Rowing Club has challenged the Penang Rowing Club to a match at the Straits. Read another rowing article from 25 July 1901, in The Straits Times, a newspaper still printed today, about a race between two coxed fours, here. Dodd again: ‘Pollution of the Singapore River forced the club to amalgamate with Singapore's new yacht club in 1921’. Then he writes: ‘The club lost most of its property during the Japanese occupation in the Second World War.’ It is very likely that the ‘hull from Singapore Rowing Club’ that Richard Gough mentions in his book is the last boat from the old Singapore RC! After the war, the club came to life again and several regattas are known where the club, now called Royal Singapore Rowing Club raced against crews from the British forces. The British Army, the Royal Navy and the Royal Air Force all had crews, though, it was the latter which rowed best. During the 1960s, RAF had twenty-five clubs attached to bases in Britain, not counting the ones connected to their bases around the world (and close to a waterway). RAF Seletar and RAF Changi, for example, practiced in the Strait of Johor. Left to right: Denis Oswald, Drew Ginn, Matt Smith and Dominik Keller. Photo: FISA website. Drew Ginn shot to fame as part of Australia’s celebrated Oarsome Foursome when they won gold at the 1996 Atlanta Olympics. Following this Ginn went on to help Australia win medals in the eight, coxed four and pair. 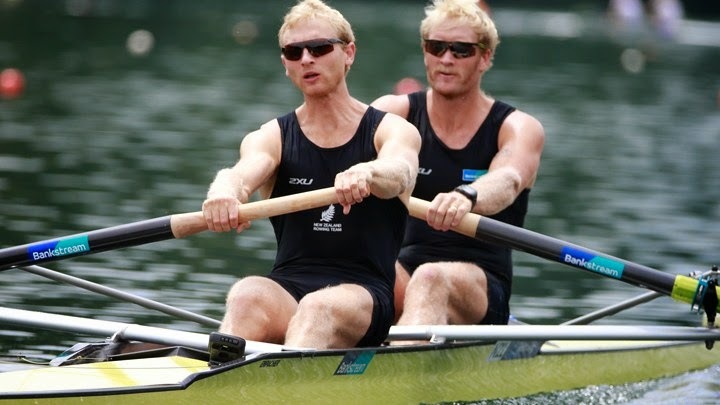 At the 1999 World Rowing Championships Ginn, along with partner James Tomkins, became World Champions in the pair setting themselves up as favourites for the 2000 Olympics. A back injury forced Ginn out of the boat and out of rowing at the eleventh hour. But Ginn’s tenacity and perseverance saw him back on form two years later and in 2003 he was again a World Champion. Ginn followed this up with Olympic gold in Athens. 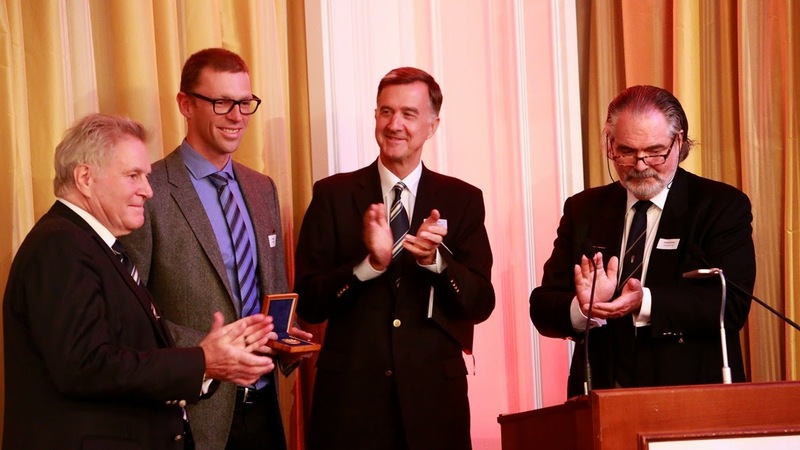 Find photographs from the World Rowing Night and FISA Presidential Handover Ceremony in Lucerne, here. Here are the results from World Cup III held in Lucerne, Switzerland, during Friday, Saturday and Sunday - find the results here. On top of the medal table came New Zealand followed by Great Britain and Germany. Today, Denis Oswald, president of FISA since 1989, will hand over the Presidency of the organisation to Jean-Christophe Rolland, of France. The hand-over will take place at the World Cup III regatta dinner in Lucerne. Oswald, who took over when legendary Thomi Keller died in 1989, has served the International rowing well. Read what Worldrowing.com writes about Oswald, here. The first picture shows a member of Oxford Brooks University ‘B’, having just lost to the University of Michigan in the Temple Challenge Cup (Student Men’s 8+). 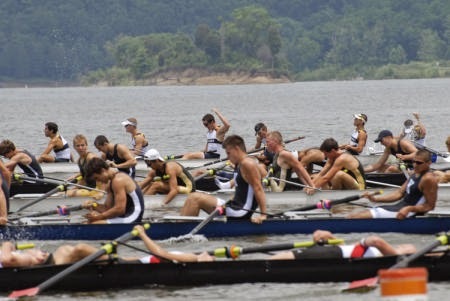 The picture below that sees the University of London leading Oklahoma City River Sport ‘B’, USA, in a heat of the Visitors’ Challenge Cup (Intermediate Men’s 4-). I am continuing in my attempts to find time (between the demands of a job and, more importantly, a rowing club) to produce some posts from the mass of material that I brought back from Henley. My new Digital SLR camera takes three frames a second and the result is 1,000 pictures to choose from! If you, dear HTBS readers, are patiently waiting, here are a few things to keep you in the Henley mood. Umpire John Hedger and (below) spectators in the Stewards’ Enclosure. ...letter (a joke for older, British readers). Henley Royal Regatta has its own YouTube Channel with brief coverage of most days. Eton’s Princess Elizabeth Challenge Cup (‘PE’) crew (Junior Men’s 8+) go to the start for their Friday race – in which they beat Pangbourne College. The following shot is of St Edwar’s School celebrating victory over Radley College, also in the PE. It is always interesting to see how (seemingly) little has change by looking at, for example, this film of 1961 (if only the lower reaches of the course were as uncommercialised today as they were fifty years ago). The view from the photographer’s stand, next to the ‘progress board’, about ten strokes from the finish. Upper Thames RC are rowing to victory in the final of the Britannia Challenge Cup (Men’s Club 4+), beating Bayer Leverkusen, Germany. The quad pictured is from Gloucester RC and Northwich RC, racing in the Princess Grace Challenge Cup (Women’s Open 4x). OK, I cannot keep the ‘pairing’ joke going but here are some more nonetheless nice images from Henley 2014. Why a boatload of Elvis impersonators should have become a Henley tradition, I do not know but they make their way up and down the course every year. Here they applaud their ‘fellow Americans’, Cornell University as they are led by Oxford Brooks University ‘A’ in the Temple Challenge Cup (Men’s Student 8+). It looks like a case of ‘All rowed fast but none so fast as stroke’ (a common but discredited ‘quotation’, see here.) Hampton recover from their very close race with Brunswick School, USA, in the PE on the Friday. St Edward’s School show fine form in a heat of the PE. This young man may have been defeated on the Friday but he can content himself with the fact that he has 5% body fat. Perhaps Dulwich College (front) can take some compensation from the fact that, while they were defeated by Shawnigan Lake School, Canada (back), in the PE, it happened in beautiful surroundings. The University of London race Harvard in a semi-final of the Visitors’ (Men’s Intermediate 4-). They are at ‘The Barrier’ (beyond which coaches could not ride their horses), 636 metres into the 2112-metre course. Another delightful day draws to an end. Looking Smart in a Rowing Blazer! 2014 Henley Royal Regatta Starts Tomorrow!